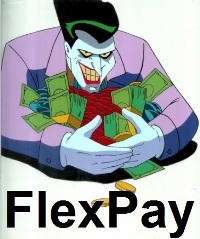 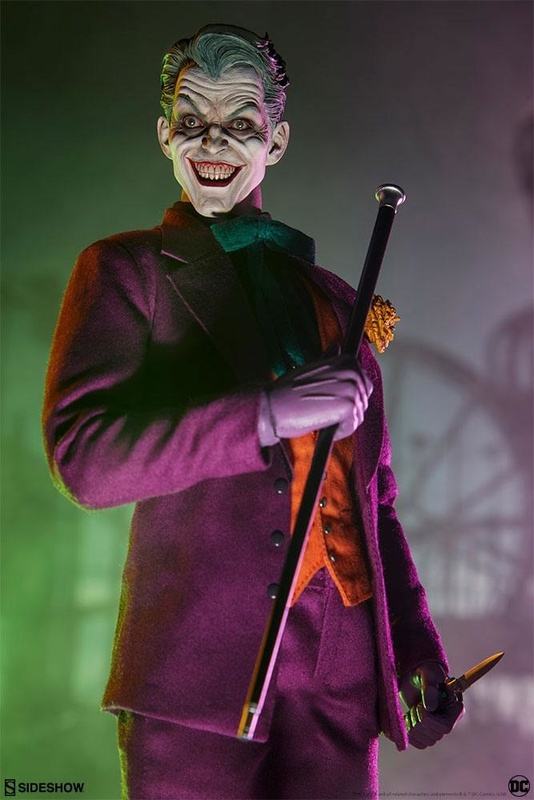 Sideshow is proud to present The Joker Sixth Scale Figure. 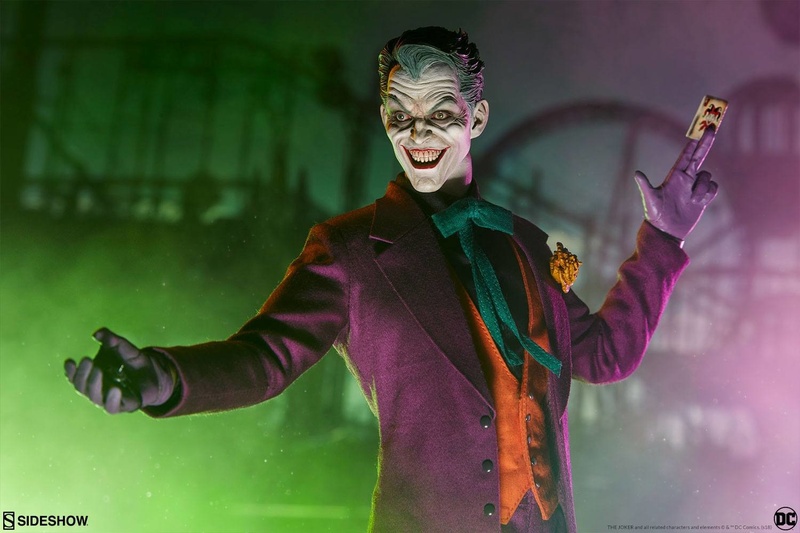 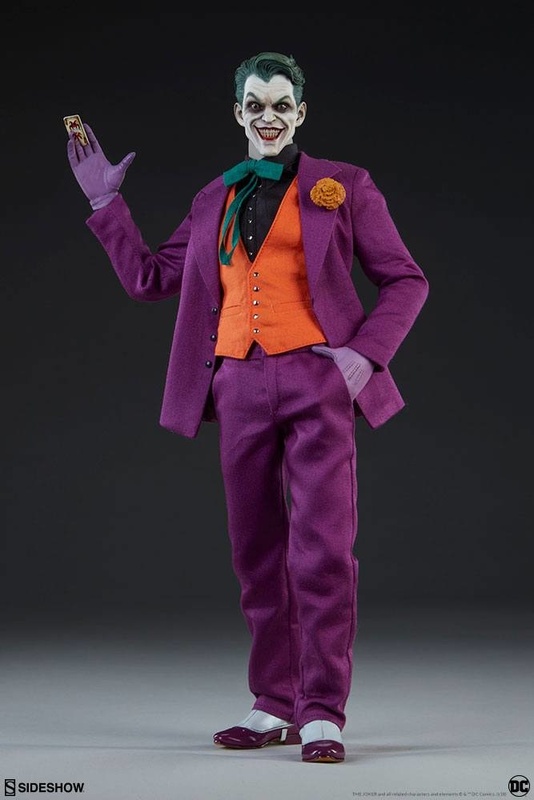 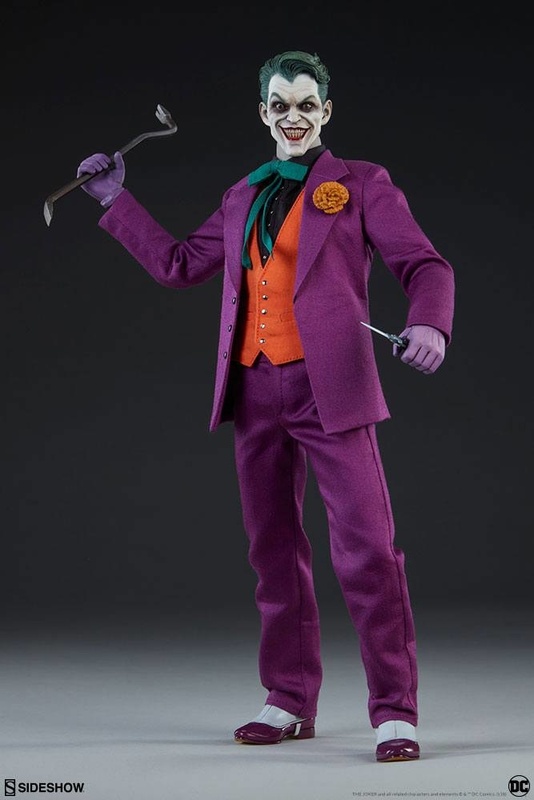 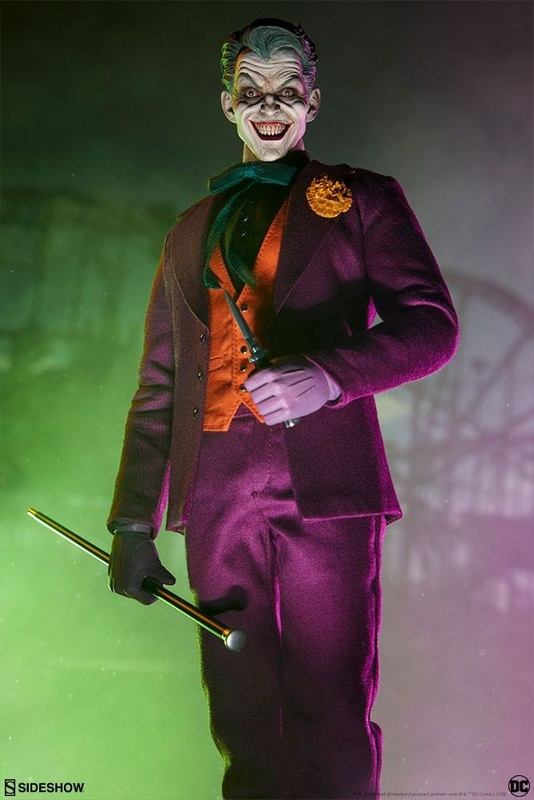 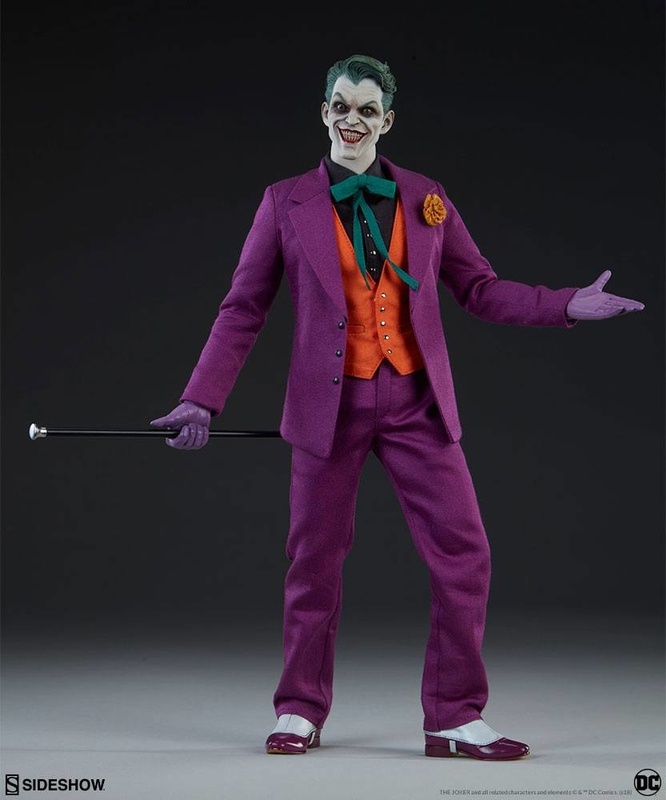 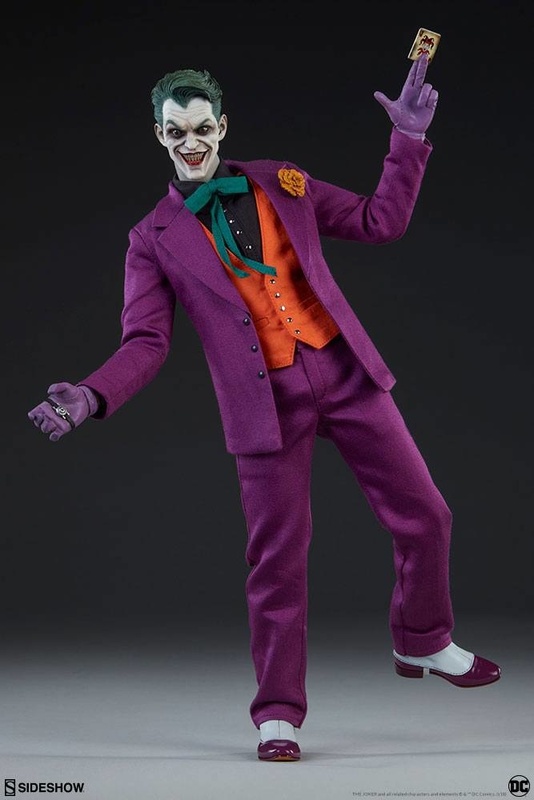 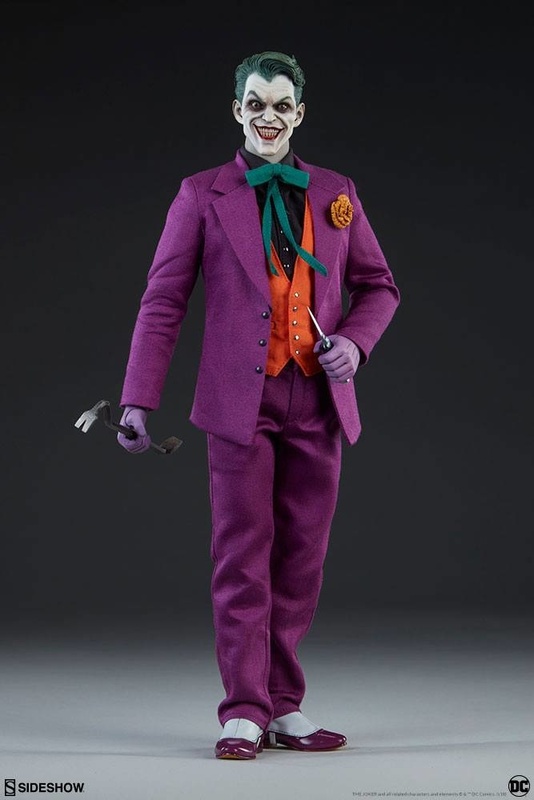 The Joker Sixth Scale articlated Figure has a portrait is inspired by his DC Comics appearance, detailed with his signature makeup, coiffed green hair, and a sinister red-lipped smile. 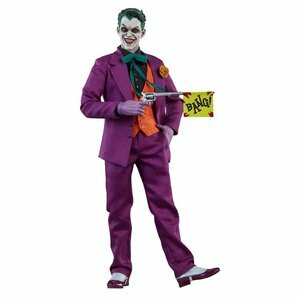 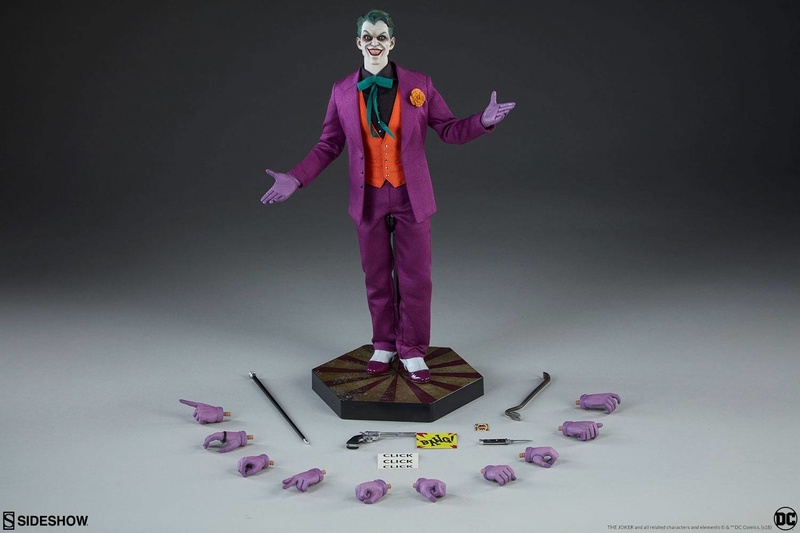 The figure comes with a number of accessories including The Joker card, a cane, a crowbar, a knife, and a toy pistol with "Bang" and "CLICK CLICK CLICK" flags.